Your home is your oasis. It is the place that always welcomes you, and it is the place where you can truly be yourself. Because of this, you probably keep your home comfortable and cozy. What happens, though, when your home’s HVAC system is not working properly? If it is summertime and your air conditioning system does not work, your home will be hot and sweaty. If it is winter and your heating system does not work, your home will be cold and shivery. When you have a problem with the heating or air conditioning system inside your home, a good HVAC repair person can help fix the problem and make your home comfortable once more. If you live in Willamette Valley, that good HVAC Eugene repair technician is at Priority One Heating & Air Conditioning. Since 1998, Priority One Heating & Air Conditioning has been providing reliable HVAC repair and replacement services to all residents and businesses in the Lane County and surrounding areas. If you are looking for an HVAC Eugene service company, that you can depend on for high quality work, you must contact Priority One Heating & Air Conditioning. From minor repairs to installing a completely new heating or air conditioning system, we can handle any type of HVAC job. No matter what time of the day or night you need HVAC service; we can be at your home or business within two hours. We do not charge overtime fees, and you will not pay more because it is an emergency. We are available 24 hours a day, 7 days a week, including holidays. With years of experience in the HVAC industry, we have the knowledge needed to perform any type of HVAC job. Whether you are dealing with a broken air conditioning system or you cannot get your furnace to turn on, we at Priority One Heating & Air Conditioning will get your HVAC system running properly again. 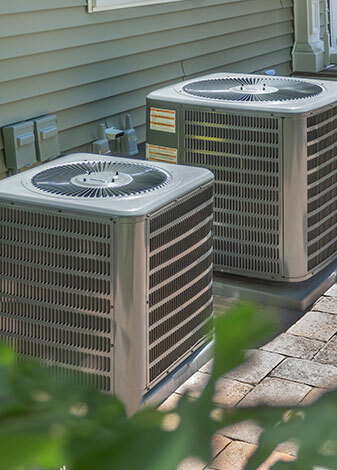 If your heating or air conditioning system needs to be repaired or replaced, there is no better company to call than Priority One Heating & Air Conditioning.